Drs. 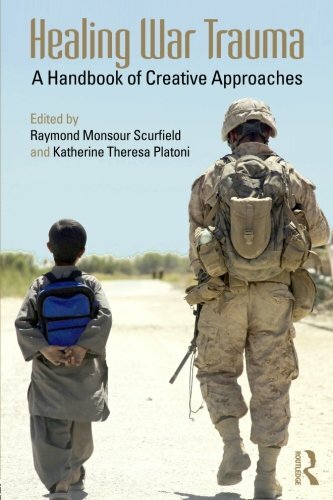 Scurfield and Platoni literally “wrote the books” on war trauma. 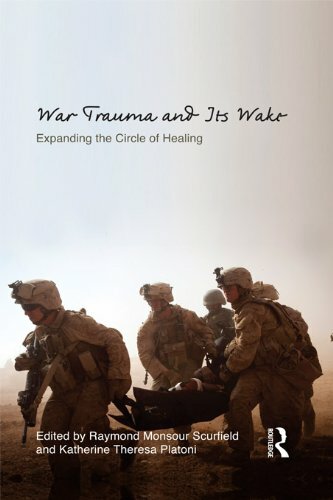 Their writings and those of multiple contributing experts in the field of war trauma, from both military and civilian sectors, address the specific needs of warrior communities, as well as wider issues such as battle-mind, reintegration and homecoming, survivor guilt, and military and Veteran suicides. Dr. Platoni is a much sought-after speaker who travels throughout the country to share her experiences concerning the psychological impact and moral injuries of war, alternative approaches to the treatment of PTSD, and assisting veterans in crisis. As a survivor of the November 2009 Fort Hood Massacre, she also lectures widely on survival of mass shootings. Dr. Platoni is an expert in PTSD. Her creative approaches are forged from thousands of hours as a therapist and from that deep place of personal understanding.